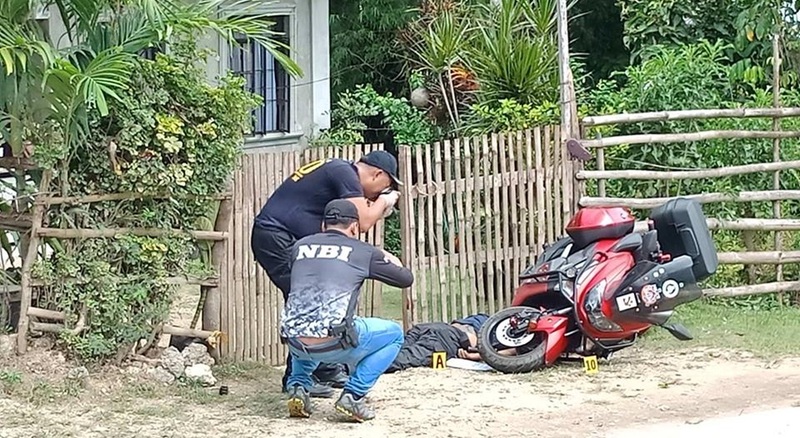 Controversial cop SPO1 Adonis Dumpit was gunned down by joint operatives of the National Bureau of Investigation (NBI) and Regional Intelligence Division 7 in Barangay San Isidro, Tagbilaran City on Wednesday morning. Acting on a tip, the operatives reportedly accosted Dumpit for alleged drug possession outside the Lindaville Subdivision. However, Dumpit who was riding a motorcycle along the Francisco Dagohoy Circumferential Road allegedly shot multiple times at the police and NBI agents who in turn returned fire. Dumpit was hit several times during the shootout which led to his instantaneous death at around 8:15 a.m. None from the arresting law enforcers’ side were injured. Authorities reportedly found 15 large packets of shabu in Dumpit’s possession. The police and NBI have yet to give an estimated street value for the seized drugs. According to an NBI source who spoke on condition of anonymity, they had Dumpit under surveillance for suspicion of involvement in illegal drug activities. Dumpit who was previously assigned in Cebu was transferred to Bohol earlier this month. He was aged 55, a year away from the mandatory retirement age for police officers at 56. Dumpit had earlier served a minimum six-year prison term after he was found guilty of homicide for killing a notorious 17-year-old robbery suspect. He was released in 2016 and had exhibited good behavior during his incarceration. The National Police Commission allowed him to return to the police service after dismissing the administrative charge against him in relation to the homicide case.